For someone with a physical dependence on alcohol, detox can be dangerous if not done properly. In order to prevent dangerous and occasionally fatal withdrawal symptoms, it is usually necessary for people with alcohol dependence to detox in a medically supervised facility. Alcohol detox is different for each person based on a number of factors. These factors include the amount of time a person has been drinking alcoholically, underlying medical and emotional issues, overall physical health, and how much alcohol the patient was consuming. Generally, the more a person drinks, the worse a person’s detox symptoms will be. However, there is no set number of drinks that is “safe”; each person is different and requires an individualized approach to their detox plan. At Discovery Institute we understand how unique each client is, and we treat them as such, creating an individual treatment plan for each one of our patients. While a client is detoxing at Discovery Institute, we make sure they are as comfortable and safe as possible. Most alcohol detox patients require withdrawal medications which prevent seizures and the symptoms of Delirium Tremens. Our doctors are experienced in handling these medical conditions and ensure that our clients receive the proper medications, such as anticonvulsants, to protect them from the effects of these symptoms. In addition to medication, patients are given regular assessments throughout their detox process to monitor vital signs such as heart rate and temperature, to ensure that they are receiving the correct medication and care. Safety is our main priority, but we also value our clients’ comfort. We know that withdrawal is uncomfortable for patients, so we provide them with prescription and over the counter medications to treat the less dangerous but still uncomfortable aspects of detox, such as nausea. We also provide comfortable beds for patients to rest, as many of our clients need long periods of sleep during this time. Nutritious, appealing meals are provided for patients, helping them to re-establish healthy eating routines that will serve them in their recovery journey. Because alcohol detox can be a difficult process, our dedicated and compassionate staff is available around the clock to clients to make sure their every need is met. At all times during their stay, patients will have access to medical professionals who can address any concerns they may have or adjust any treatment regimen as necessary. Because we administer medication to assist with the detox process, our doctors are also trained to assess patient progress and symptoms, and wean patients off of detox medications when they get cleared to do so. Our staff understands that oftentimes, patients enter detox with outside physical and mental health concerns, and our staff is experienced in identifying and treating these issues alongside withdrawal symptoms in our patients, in order to provide the best chance at a full recovery for our clients. 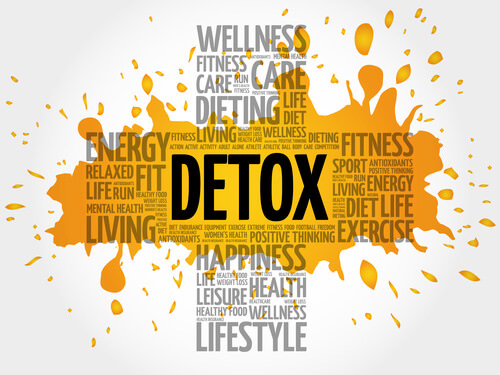 In addition, we know that detox can be an emotionally charged and challenging time for many patients, so we have an amazing staff of therapists available to attend to each client’s needs. Clients are encouraged to seek counsel from any of our staff members, including nurses, doctors, therapists, and technicians. Each and every member of our staff has a passion for assisting those who struggle with addiction and alcoholism to reach their full potential in life, which begins with a safe and complete detox from any mood and mind altering substances, including alcohol. Support is critical during the detox process, and at the Discovery Institute of New Jersey, we pride ourselves on the fact that we provide all of the support a person could need during this journey, in a well-rounded, supportive, safe, and healthy environment.